Among the extensive Susan Greene Collection at the Genesee Country Village, we can find many millinery ribbons.This set of ribbons samples what can be found. Left to right, we have a floral center on white ground with pink savages, a taffeta stripe, an off white ribbon with greens and red woven stripes (I need to go back to see whether this is a satin or taffeta weave), a fabulous green and white ribbon showing plaid and moire sections separated by Jacquard woven stripes which are raised, a striped taffeta ribbon with satin stripes running across the ribbon. This striped Moiré ribbon is 3 ½ inches wide with a white ground and purple stripes running the length of the ribbon. This ribbon has been cut into several short sections with two longer sections. There is a light texture to the weave that borderlines gros grain. The ribbon has firm body. This is one of my favorite ribbons. 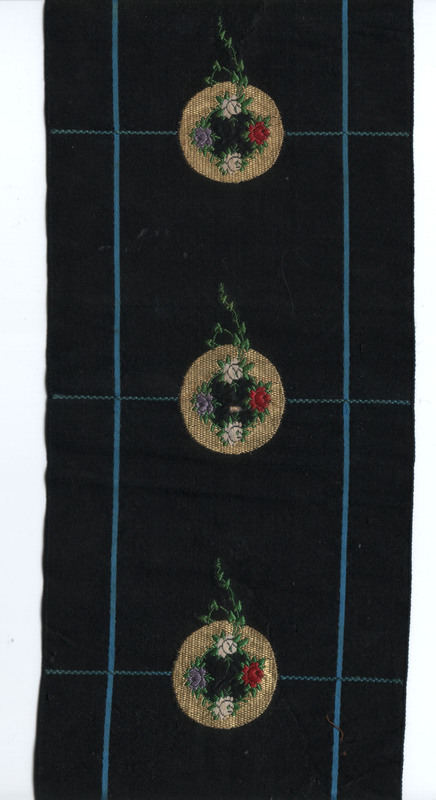 This embroidered ribbon is 4 7/8 inches wide. 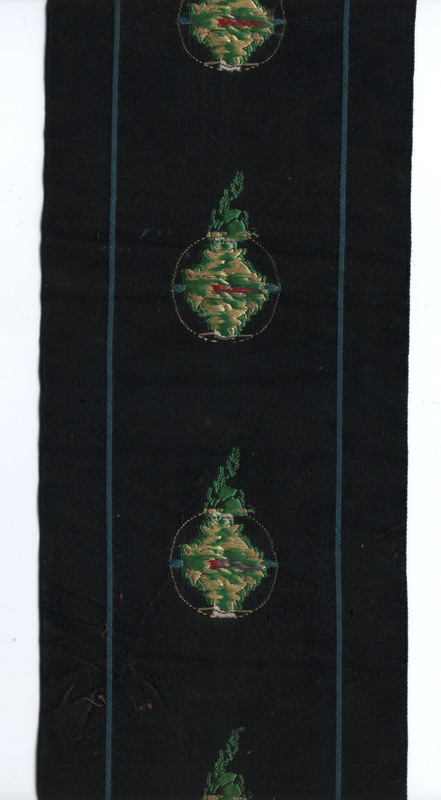 The ground is ground is black with blue vertical and horizontal striped and embroidered wreathes in yellow, reds, green and blues. 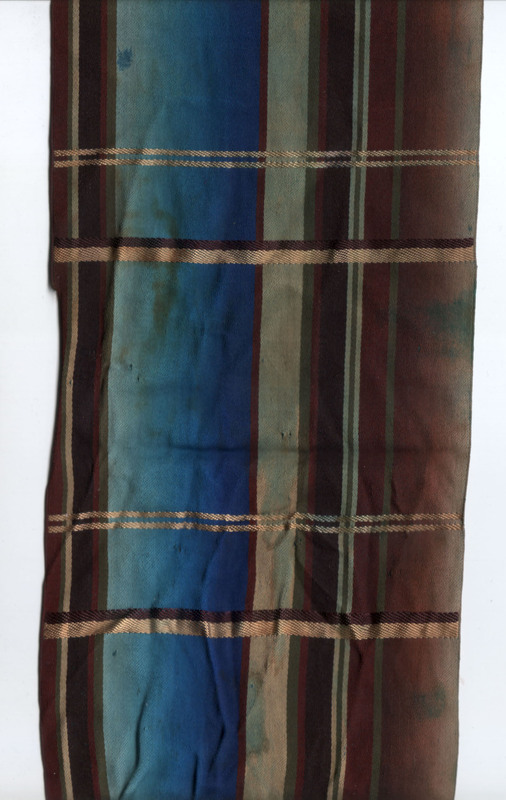 The ribbon has a satin weave with short floats while the vertical blue stripe has longer floats. The horizontal stripe has a small check design. These wreaths are very fine and add little bulk to the ribbon. I currently think this is likely a post Civil War ribbon. 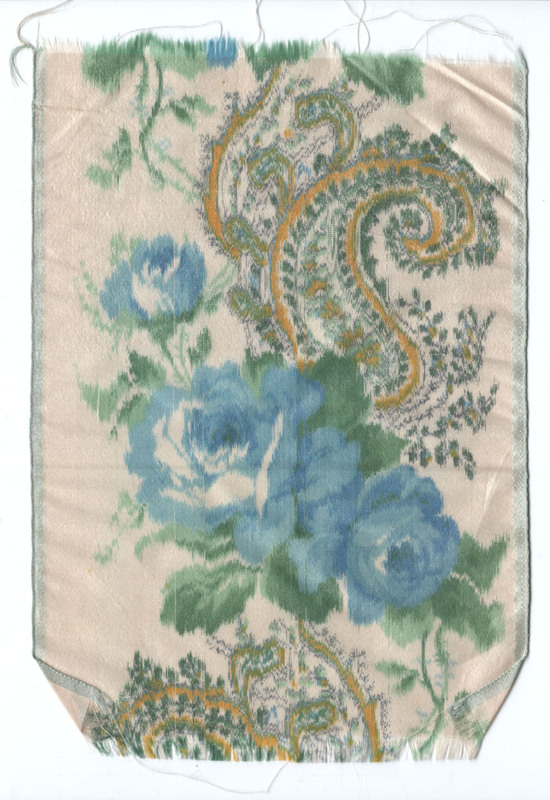 This jacquard ribbon has a paisleyesque feel though it really doesn’t exhibit the traditional cone motifs. 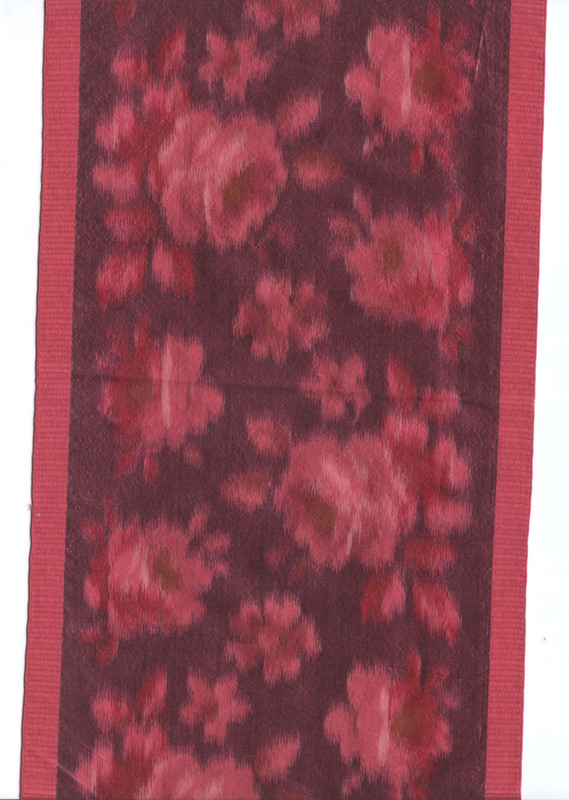 Notice the field is jacquard woven while the border is taffeta. This is an interesting ribbon because, besides being a nice plaid, it gives us a chance to look at a few different things. 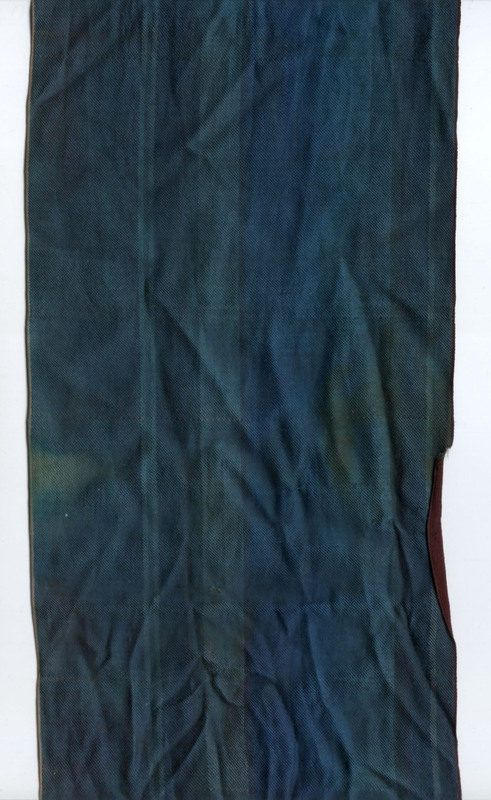 The most obvious is the damage water staining can do to silk. There are several spots throughout this ribbon. Next is the plaid itself. Notice the plaid is on the grain. 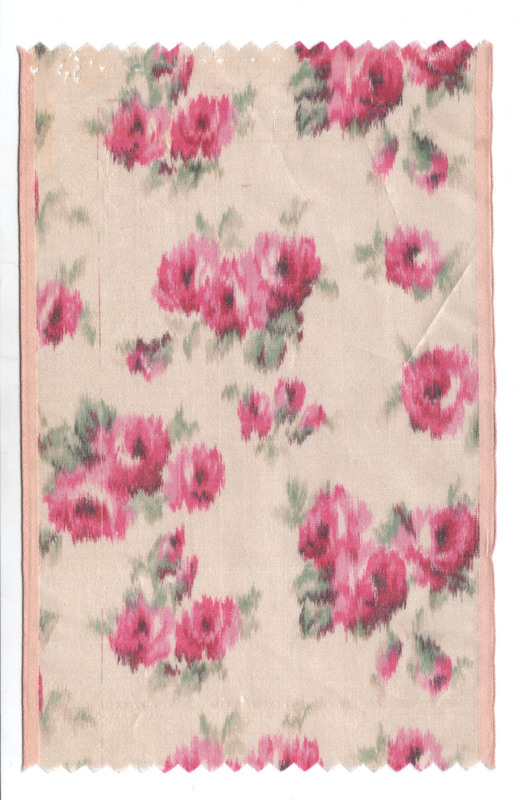 For bonnet ribbons, you do not want plaid cut on the bias. (The curtain/bavolet can be cut on the bias.) If you can look close at the ribbon (check in the lower right of you Explorer window for the zoom feature), take a look at the subtlties the change in weave can enhance the lines. Next look at the wider blue and wider brown areas. These have a varigated look created with gradiated tones of warp threads. In modern terms we call this ombre. This is one of my mystery ribbons that I haven’t been able to track back yet. 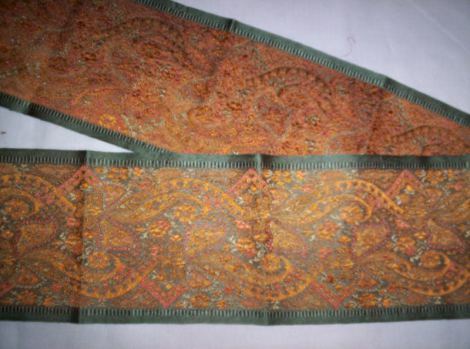 It is a brown jacquard weave. The ‘ground’ is striped. The blobs, for a lack of a better word, have a similarity to some fabrics. The combination makes a very interesting ribbon. The edge of the ribbon have the two browns from the ribbon plus a narrow red. 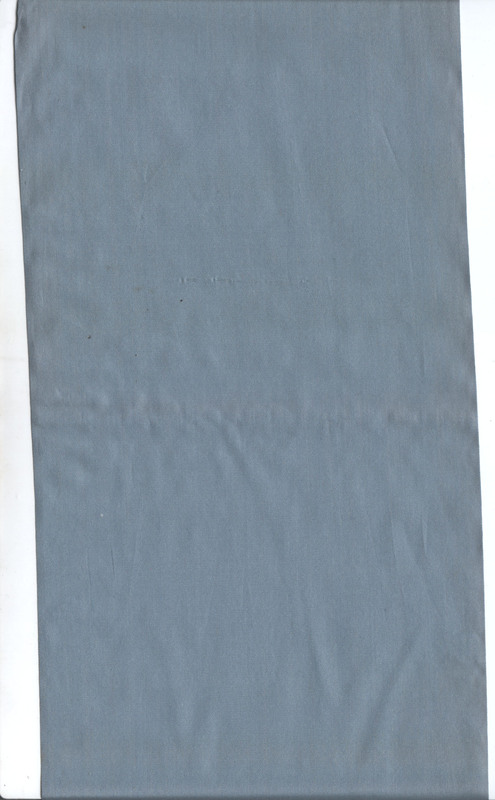 This pale blue satin weave ribbon is 5 inches wide. 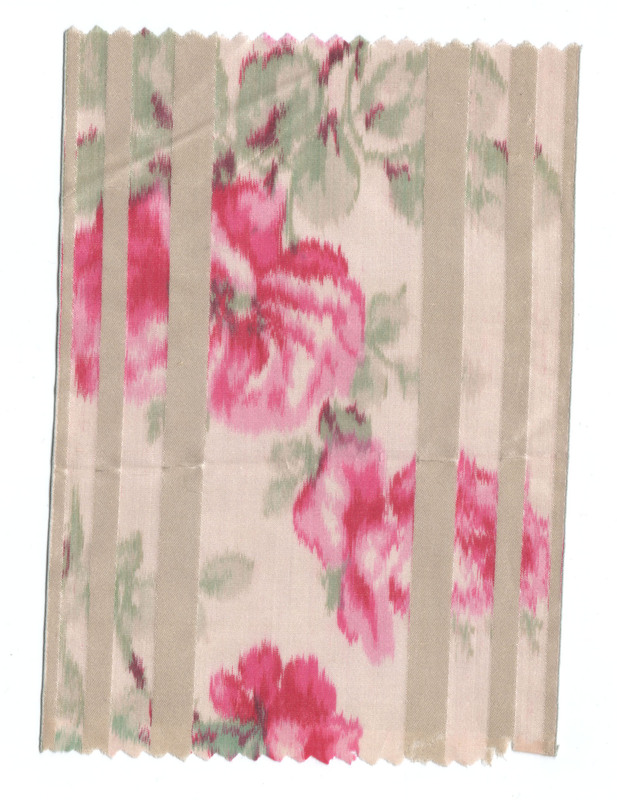 This ribbon satin is lighter weight than satin fabric or ribbons in the stores. Keep this in mind if you are going to recreate a satin ribbon.